Rev. 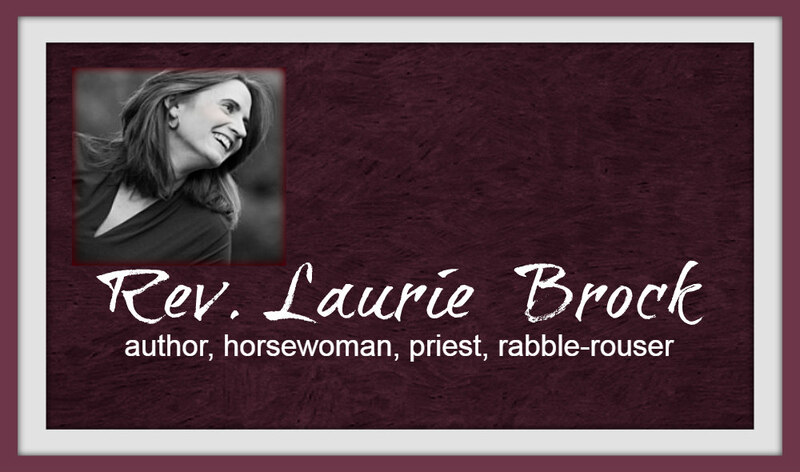 Laurie Brock: Stewardship is not about money- right? Stewardship is not about money- right? This morning in our staff meeting we discussed the dreaded task of sending out stewardship letters. For those who don't know, each year churches send letters to all their members asking them to pledge to give money for the following year. The money collected throughout the following year from these pledges is used to help the church carry out its various ministries and pay expenses. These letters are notorious for saying: "Stewardship is not about money" or "Give of your time, treasure, and talent." The funny thing is that often we never get around to asking people for their time or talent. Stewardship is about recognizing God's many gifts to us and saying thank you. We say thank you with what we do. We give back. Stewardship is between God and us. We put something aside for God, for us. We realize that we have been loved so much that we can share that love in whatever way we can. We ask people to give, to pledge what they have. Certainly, the church does need cash, but what if we broadened our stewardship campaigns? What if when we ask people to pledge a dollar amount, we also asked them to pledge a talent amount and time amount? Someone could pledge $10 a week and 10 hours a week for serving God specifically at the church and in some other ministry outside the walls of the church. What would that look like? Stewardship is scary business, and perhaps that is why we just stick to cold, hard cash. Helping each other use our gifts to the Glory of God can be very difficult. What if someone doesn't know what gifts he or she has to offer? Will we be willing to give of our time to teach or mentor this individual? How do we quantify "serving God" in the community outside the walls of the church? Do we need to quantify "gifts from God"? So, more stewardship letters will go out. We will mutter about not having enough cash. We may not have enough help for our different ministries. The struggle to understand stewardship will continue until we are willing to recognize those two other elements of stewardship: time and talent.